Develop your project management skills, equip yourself with the required project management tools and learn more about the role of a project manager Enrol now on BOTI’s Project Management Essentials Course! Simple projects are seen to be ones that involve few resources with limited impact on stakeholders and the environment. The project industry is a key component of the global business environment and skilled practitioners must cater to industry demands, provide significant benefits to individuals and corporations as well as the country at large. Since projects are diverse in nature, in order to manage effectively manage them, a broad set of competencies is needed. 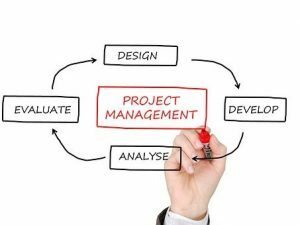 Project management is a vital component of any business system and this course is a must for those who manage a business. BOTI’s Project Management Essentials Course will equip you with basic project management skills and knowledge required to develop further related competencies that will enable you to become an effective and efficient member of a project team and provide support to the project manager and project team in respect of medium to large projects. You will also develop your skills in specialised technical aspects as these pertain to the project management process. Practical training includes projects that may involve business, government or community development initiatives and hone in on various economic sectors. BOTI’s Project Management Essentials Course will equip you with the skills, knowledge and attitudes needed in order to be able to manage more effectively and in a professional manner. This course is aimed at those individuals who have prior work experience in project management or business administration or the equivalent thereof.